Pandora designs, manufactures and markets hand-finished and modern jewellery made from genuine materials at affordable prices. 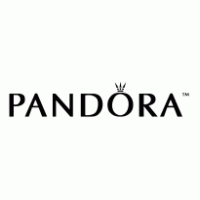 Pandora jewellery is sold in more than 65 countries on six continents through approximately 10,000 points of sale, including more than 800 concept stores. Celebrate unforgettable moments with a selection of Pandora's silver, gold, and diamond jewellery at CF Fairview Park in Kitchener.